If you are trying to find a good to great hunting rifle while on a budget you may find the task daunting. Don't worry however we have you covered. If you like most of the world are on a budget and money counts then this article is for you. 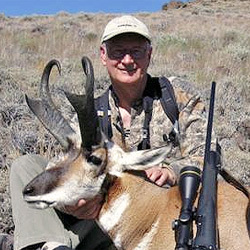 It details the 5 very nice big game hunting rifles all of which are between $500 and $999 USD. Some of the large game rifles are around $2,000 then you still have to buy a scope, sling, case, ammo. By the time you've finally saved up enough money to get what you need the hunting season is over. So we felt it was time to be a little more realistic in our aspirations. While some of those top end guns may look good in the magazines they are well out of the reach of what most of us can realistically afford to spend without being forced to sleep on the couch for a month. All of these guns are listed in the GunData.org database and if you want to comment on anything we've said, offer up changes, or post reviews and pictures of your own guns then you can do so by following the link in the title of the gun. Here are the guns in alphabetical order. Benellis R1 big game rifle recently got bigger. The R1 is now available in .338 Winchester Magnum, considered one of the most respected North American big game cartridges that's suitable for hunting large game like brown bear, moose and elk and Africa's largest plains game. The innovative Browning A-Bolt delivers dependable, pinpoint accuracy that exceeds the stringent standards of the modern rifleman. The renowned A-Bolt is available in three action lengths in a spectrum of popular chamberings, materials and finishes to satisfy your needs in any hunting or shooting situation. Have a look at this broad line up of A-Bolt rifles and see for yourself that the A-Bolt leads the competition in variety, versatility and performance. The Vanguard Series 2 base model is a very nice synthetic hunting rifle that is chambered quite a few calibers..223 Rem, 22-250 Rem,240 Wby Mag,243 Win, 25-06 Rem,270 Win,7mm-08 Rem,308 Win,30-06 Sprg,257 Wby Mag,270 WSM,7mm Rem Mag,300 Win Mag,300 WSM,300 Wby Mag,338 Win Mag. Thanks to huntfishguide.com for use of the photo.